Sometimes beautiful, sometimes cute--herbariums can express an infinitive number of attributes. 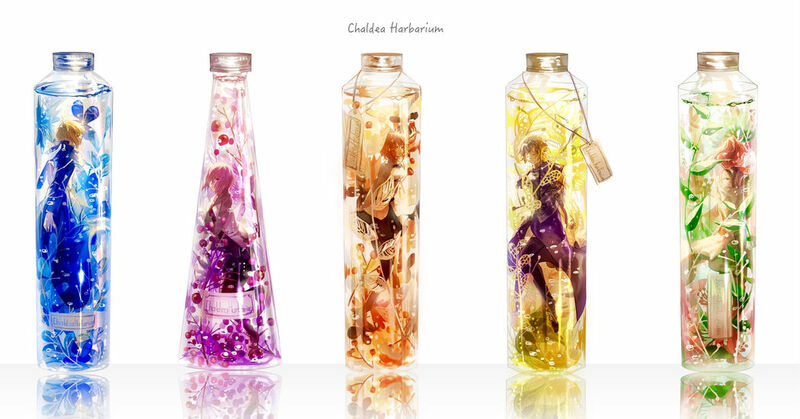 We can find different types of herbarium bottles, including round, squared, transparent, and colored ones... Not to mention that the flowers floating inside an herbarium bottle have the power to charm people and lead them to a magical world. This time we are featuring illustrations with the theme herbarium. Please enjoy their enigmatic charm!